Asia-Africa Kappa Productions currently have several documentary films in productions and in development. 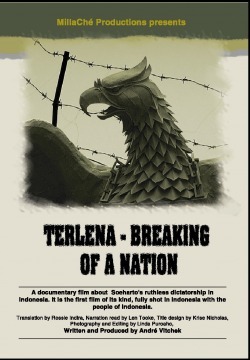 With MillaChe Production, we produced "TERLENA - Breaking of a Nation" . It is a documentary about Indonesia and its people who are unaware of their recent history. The society still believes the propaganda created by one general and his army. This independently produced documentary gives voices to those silenced during the dictatorship of Soeharto (1965 - 1998). The documentary "TERLENA - Breaking of a Nation" takes an in-depth look at the effects of Soeharto's dictatorship both on a cultural and personal level. How has the culture been altered? 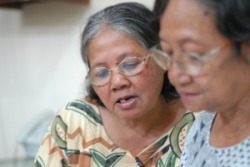 What are the consequences for Indonesian society in the long term? 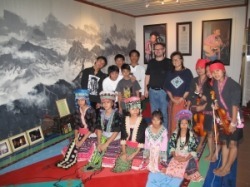 People from the country's cultural and scientific community share their ordeals and views. Voices are reaching out from a prolonged silence, and these voices are Indonesian. It is time to rewrite the history of Indonesia! 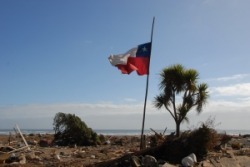 Chile Between Two Earthquakes is 8 minutes documentary film from the country hard hit by the earthquake, tsunami and election of the new right-wing government. Filmed and directed by Andre Vltchek and edited by Vincenzo Cavallo. 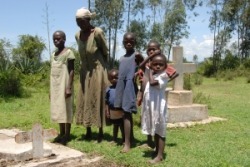 Documentary film about humanitarian tragedy in Western Kenya - part of the country plundered by HIV/AIDS epidemic, draught and unemployment - this film being produced for UNESCO is depicting brave attempt of Bethzatha Orphanage to reverse sad lot of the local children. Collapsing Indonesian Infrastructure: planes falling from the sky, ferries sinking, entire villages collapsing. Is nature really to blame or is this result of unbridled corruption, mismanagement and market fundamentalism? 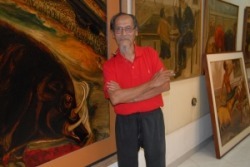 Documentary film highlighting work and life of a great Southeast Asian Marxist painter. Singing Communists in Indonesia - 1965 coup in Indonesia killed between 2-3 million people including members of PKI. All that was 'left-wing' was destroyed. This emotional documentary visits few old surviving Marxists in the country and listens to their songs. Singing Thai Communists - songs of those who fought on the Left side of the barricade in Thailand.